It wasn’t until my 25th birthday this past May that I finally made it out to Las Vegas. Late according to the standards of most of my friends, but I’m glad that I waited because that first trip (and all the drunken debauchery and regretful decision making that went with it) went about as well as anybody’s first time in Sin City could go. 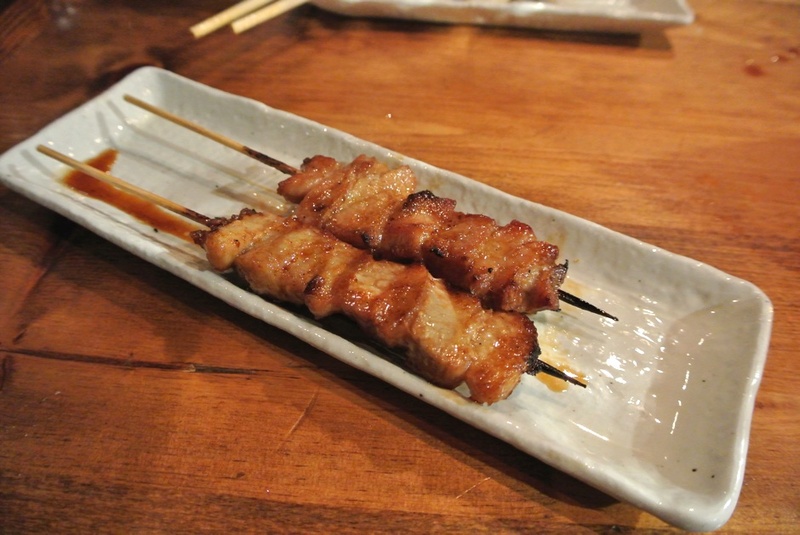 However, what stood out the most from that weekend wasn’t the hours of gambling or alcohol-fueled antics; it was a post-drinking meal late one night that was highlighted by the most sublime tofu I’d ever eaten and a Kurobuta pork cheek skewer so good that I ordered another after the first bite. Needless to say, I’ve made sure to eat there on every Vegas trip since. 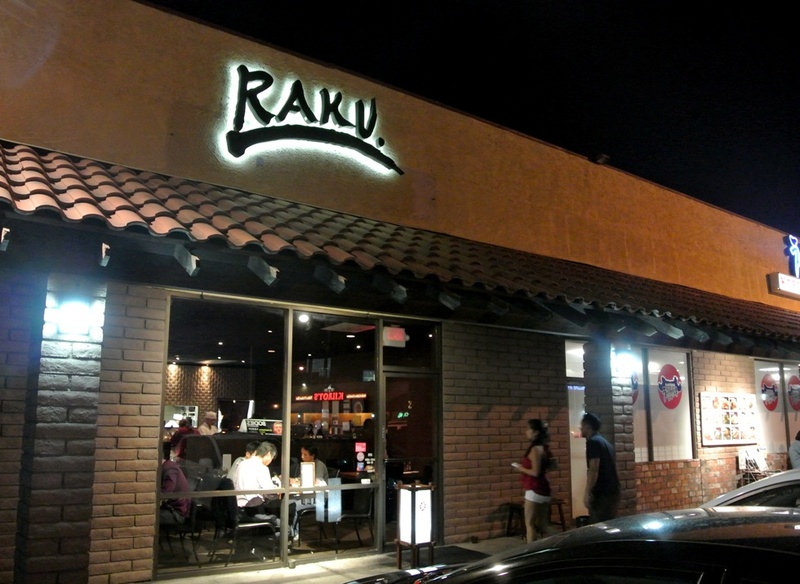 Raku was opened in 2008 by chef-owner Mitsuo Endo, a Tokyo native who cooked in New York for four years before winding up in the desert in 2007. His restaurant is refreshingly “un-Vegas,” foregoing the customary flash and flare in favor of a subtle and zen-like atmosphere with skillful cooking and quality ingredients. It’s located in the back corner of a strip mall in the heart of Chinatown, about a five-to-ten minute cab ride from the strip. Without a celebrity chef’s name attached to it or some other gimmick, the food is actually the focal point of the experience, something that can’t be said about a lot of other Vegas restaurants held in comparable esteem. The meal kicked off with a half order of Raku’s tofu that is made fresh daily. On its own it was lush and velvety smooth, with a very clean taste. The accompanying ginger, scallion, and bonito flakes accentuated the subtleties of the tofu, while the server-recommended green tea salt really brought all of the flavors together wonderfully. 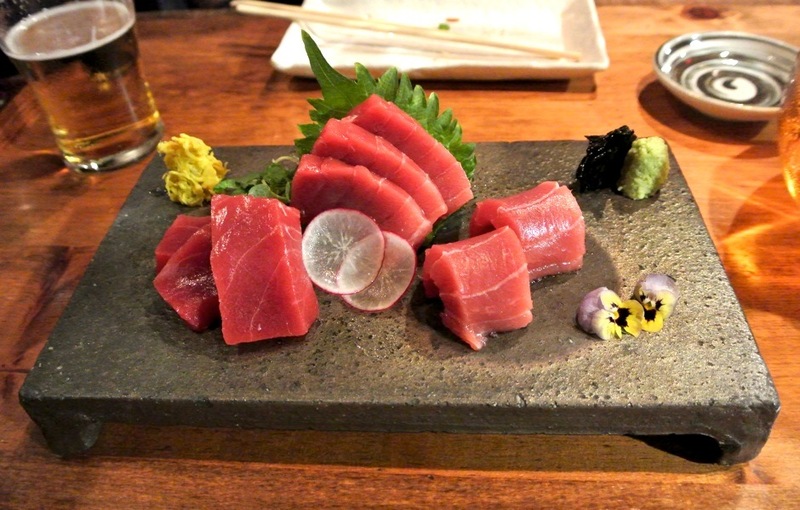 Up next we had premium cuts of Bluefin tuna sashimi that were simply divine. In place of the typical soy sauce and ginger, the sashimi was served alongside pickled chrysanthemum (a palate cleanser), seaweed noodle (hidden beneath the shiso leaf), and shoyu-marinated seaweed (instead of soy sauce). The tuna was flawless with its typical suppleness and fatty, oiliness, and went perfectly with the concentrated saltiness and ocean essence from the marinated seaweed. I’ve mentioned before my inability to resist ordering Soft Shell Crab anytime I see it, so no surprise that I ordered this as soon as I saw it listed as a special. The crab was lightly battered with a good crunch that revealed the juicy crab meat inside. 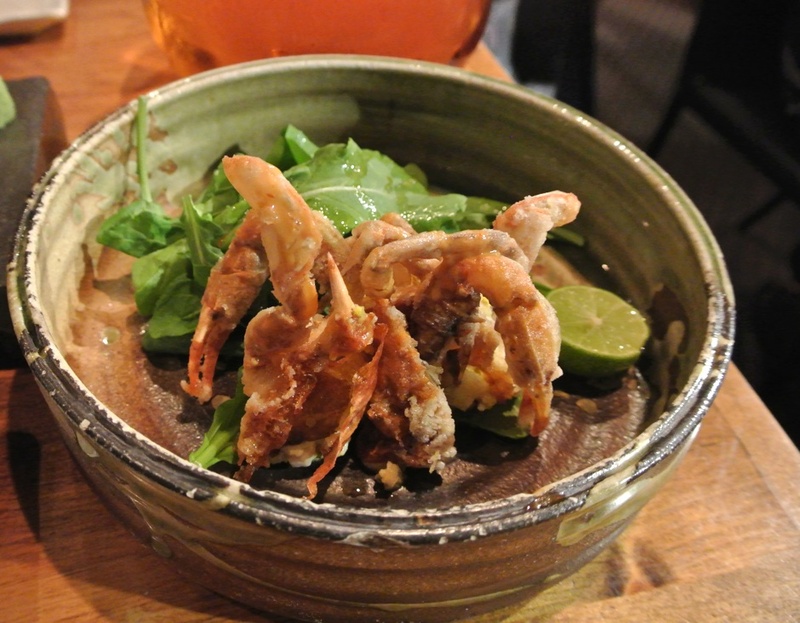 The acidity from the lime juice and bitter greens helped to bring out the sweetness of the crab and its juices. A simple, yet incredibly delicious preparation of free-range organic chicken breast followed. The meat itself was moist and cooked to perfection, while the layer of skin provided an initial crunch and oily goodness. 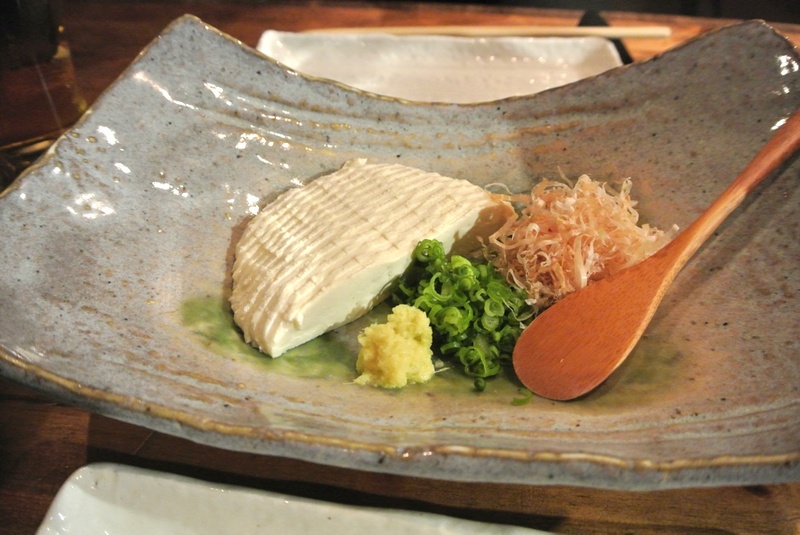 As much as I enjoyed the straightforward presentation of Raku’s tofu, the agedashi version took things to another level. 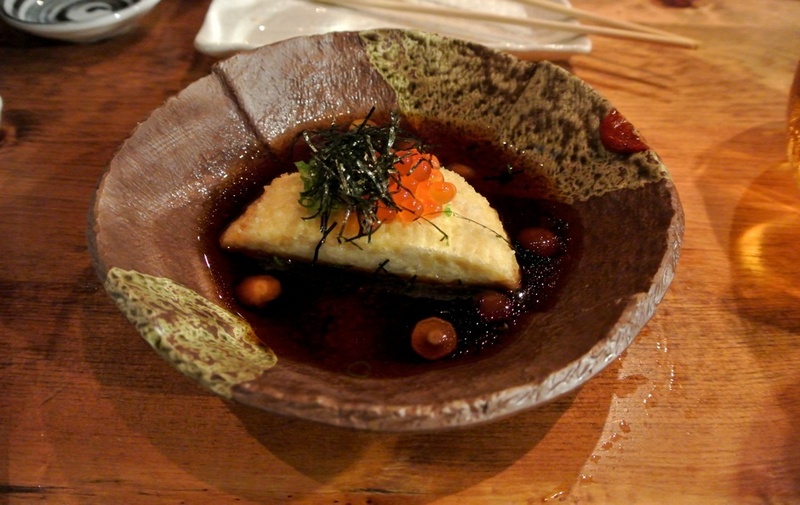 The crisp outer of the tofu, topped with ikura and shredded nori, gave way to the creamy interior for a truly pleasurable bite. The dashi broth was slightly sweet, while the tiny nameko mushrooms were a nice touch as well. 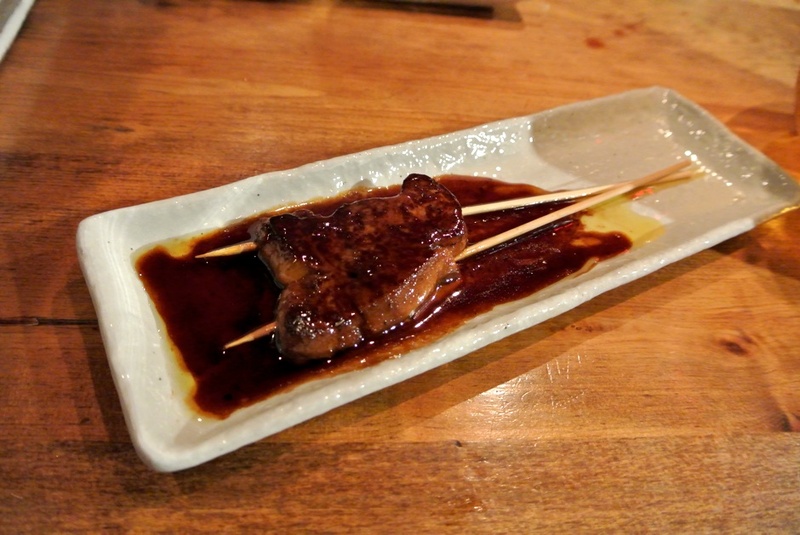 Cubes of Kobe Beef were presented next, soft, tender, and oozing rich, beefy flavor. 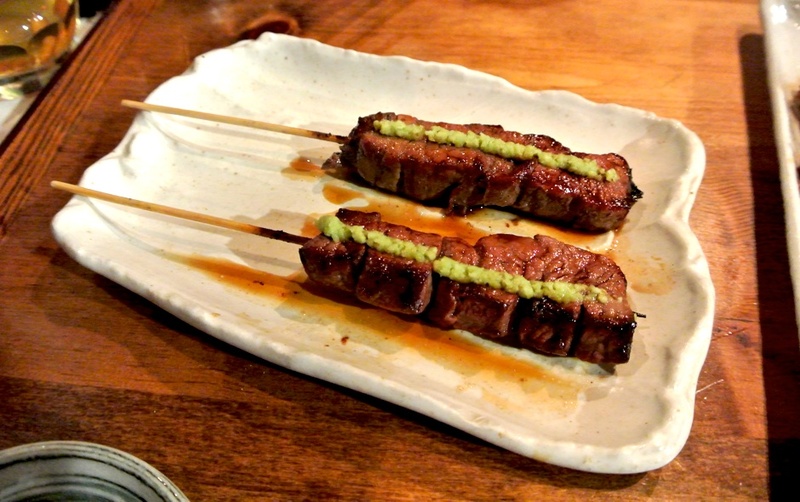 A faint, smoky char imparted from the grill was deftly countered by the streak of wasabi that lent just enough zing to the dish. Ah, yes, that glorious pork cheek that left my taste buds in pure bliss on my initial visit here. It was just as good as I remembered, the pork hitting on every level: crispy, fatty, and with a slight chew that gave way to a delightful unctuousness. As the ban on foie gras in California continues, I feel obligated to jump at any opportunity to order it when I’m out of the state. The decadent goose liver was exactly what I anticipated with an over-the-top richness tempered just enough by the sweet soy-glaze. How can something so wrong (according to some anyway), taste so damn good? I almost proclaimed this the best scallop of 2013 before remembering the raw Peruvians I had recently at Fishing With Dynamite, but I still think that I’d give the edge to the version here. 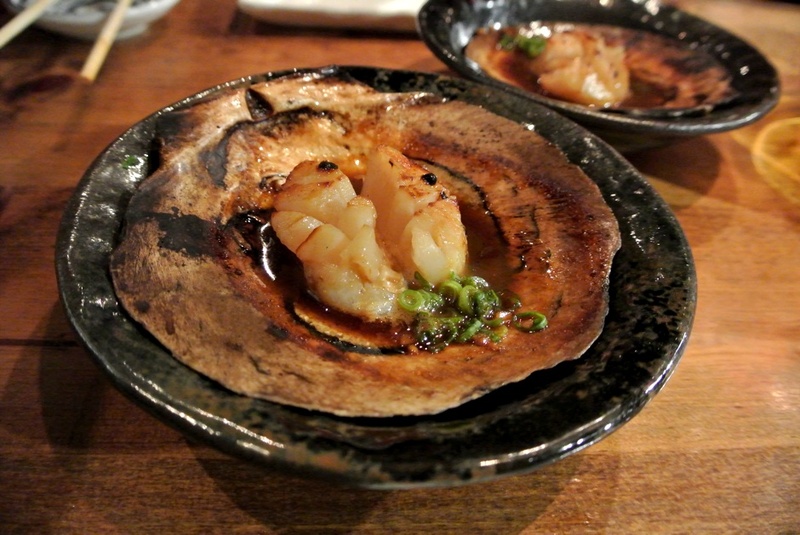 The scallop was spot-on with the buttery soy sauce complimenting the mollusk’s inherent sweetness. 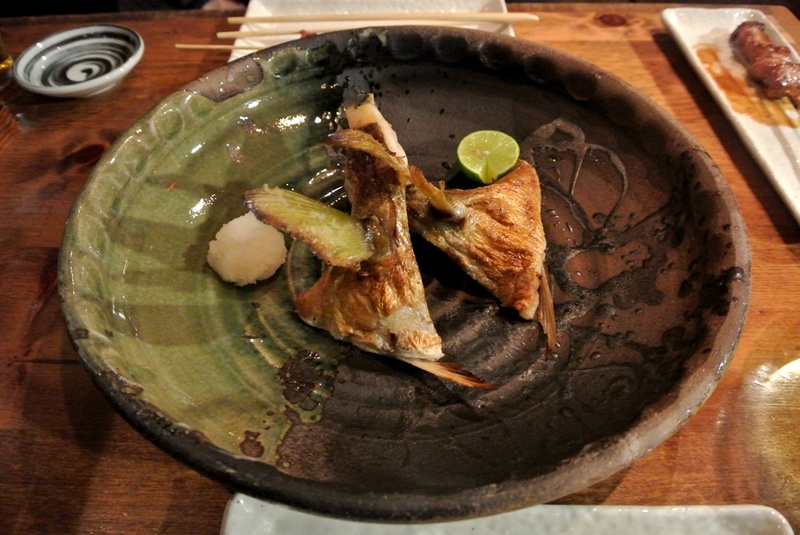 The evening’s final dish was grilled kama, or collar, of striped jack. The flesh was moist and tender while the skin was crispy and oily. A sprinkle of salt and a squeeze of lime juice was all that was needed to enjoy the simplicity of the fish. Spending the weekend living large on the Vegas strip certainly takes its toll on a person’s mind and body, but I’ve found that a meal at Raku always manages to restore some degree of balance and normalcy. Chef Endo’s cooking is a lesson in simplicity, by all means a less is more approach, that enables patrons to enjoy the ingredients at their absolute best. 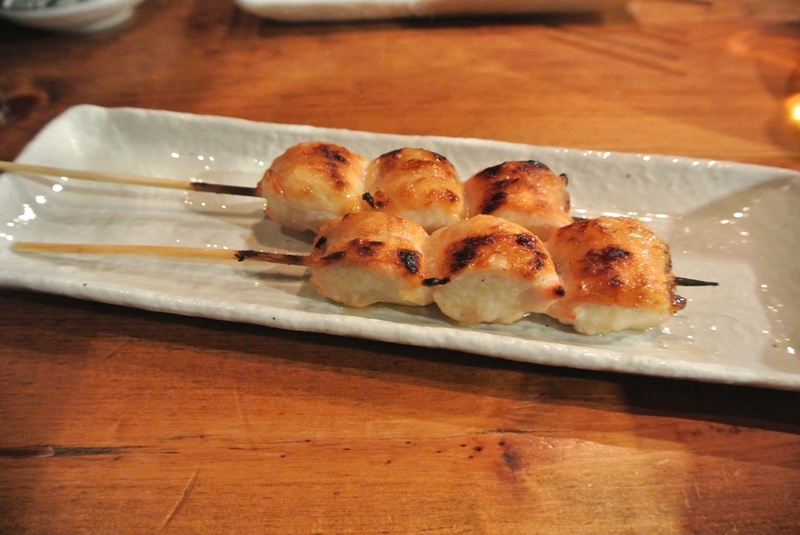 Vegas is, and always will be, a place of excess and overindulgence, Raku stands out as a stark contrast for those who can find pleasure in a plate of silken homemade tofu.